Hi everyone. I hope you are having a great Saturday. This will be another somewhat informative post following on from the last, https://nosuperhero.wordpress.com/2015/02/23/anxiety-taking-baby-steps/ Yesterday was a real turning point for me. In my last post you might remember I opened up about my struggles with anxiety and coming to terms with the fact that I’m at a point where I need some help. Yesterday was my first appointment with regards to my anxiety, often referred to as a mental health assessment. It was a really weird day. As expected, I was really worried about going. I knew it was the one thing I needed to do to keep the ball rolling, but that alone wasn’t enough to stop me from panicking. I knew I was going to find the day tough, so I wanted to take things slowly. Drew was kind enough to offer to come with me, so in the morning I opted to make us breakfast. 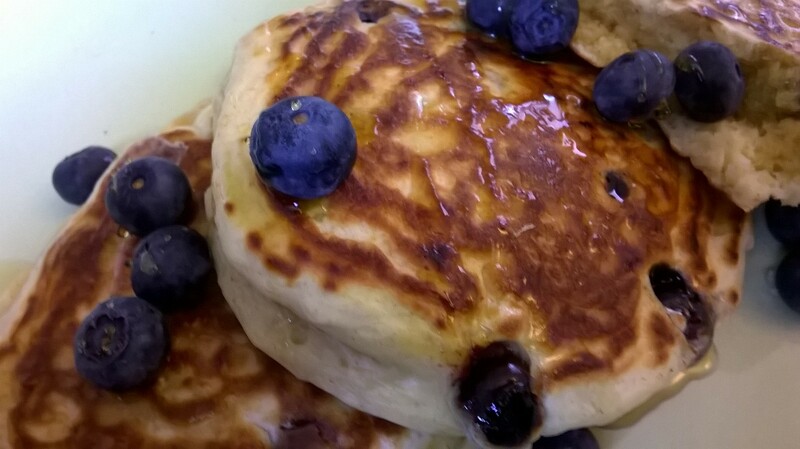 I attempted to make American pancakes filled with blueberries, and although they looked alright they were slightly underdone in the middle. I got really upset about this; it’s such a silly thing, but at the time those pancakes felt like the most important thing in the world. 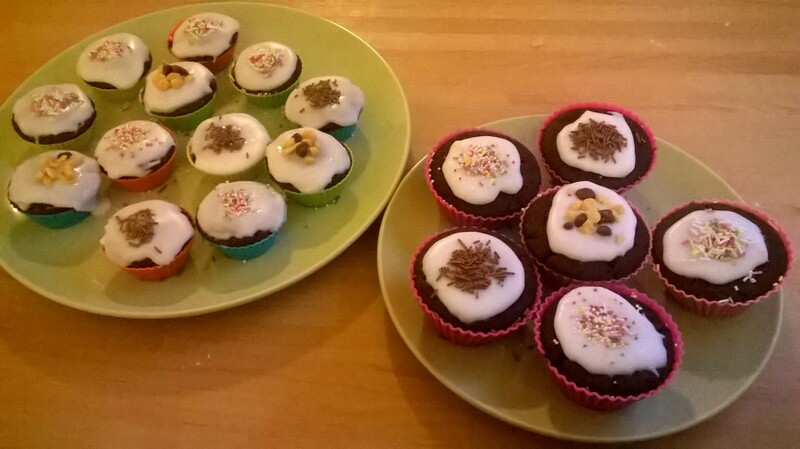 We managed to rectify them, but by the time they were okay I was too upset to eat them. It appeared that breakfast time set the mood for the entirety of the day. They did look okay, though. The journey to the health centre was filled with anxiety. After being coerced to leave the house by Drew (which resulted in tears), I sat panicking whilst waiting for a taxi at the local taxi rank. Once the taxi arrived, I felt somewhat relieved, (at least I wasn’t going to be late) but I was on the way to a part of town I’ve barely heard of before, nevermind visited. The wait in the waiting room was horrendous. It was loud, uncomfortable and my appointment ended up being nearly half an hour later than intended. I was jumpy and close to tears, so it took all my strength to stay. Drew and I did decide that we’d make pizzas from scratch for dinner, which did help a little. 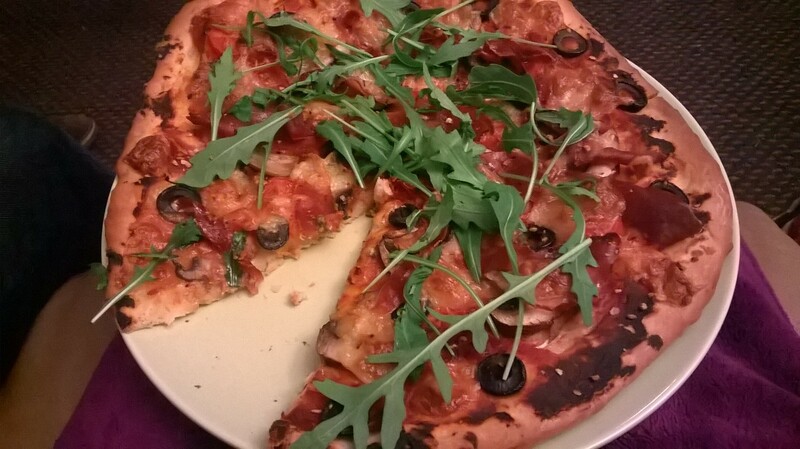 At least I had the thought of homemade pizzas to look forward to! By the time I was called in I was overly emotional. Almost as soon as I sat in the room I burst into tears. It was at this point I realised I’d have to recount some very painful and traumatic memories. Once this was over however, I knew I’d be one step closer to the help I so desperately needed. The hour seems like a complete blur to me. There were questions after questions, and lots of numerical scales to fill out. I was constantly worried that I’d give the wrong answer or say the wrong thing, but I got through it. I knew anxiety was the issue, so it came as no surprise that they said I have severe anxiety (according to the scales, so not neccessarily completely accurate but definitely in the right area). What was a bit odd was the conclusion that I also have moderate depression. Initially I was surprised, but it does make a lot of sense having thought about it. With these conclusions came overwhelming relief. Finally, someone was telling me the things I’ve been going through aren’t normal. Someone actually sat and told me that these feelings aren’t a figment of my imagination. They provided the validation that I needed, the validation that said ‘yes, I am entitled to help’, and ‘yes, I can and will receive that help’. I’m so glad I stayed. I’m so glad I got through that appointment, despite the tears and my bright red face. I have decided that counselling will be the first port of call. I think having an outlet where I can vent my frustrations and anxieties will help me immensely. They did mention medication; that’s something I am open to thinking about, but for now I want to try alternative measures. I left the appointment feeling both relieved and apprehensive. What will come next? Will it help? I’m certain I can get through this. I’m under no illusions and I know it will take time. But making that first step means the solution is nearer than it was before, and that can only be a good thing. 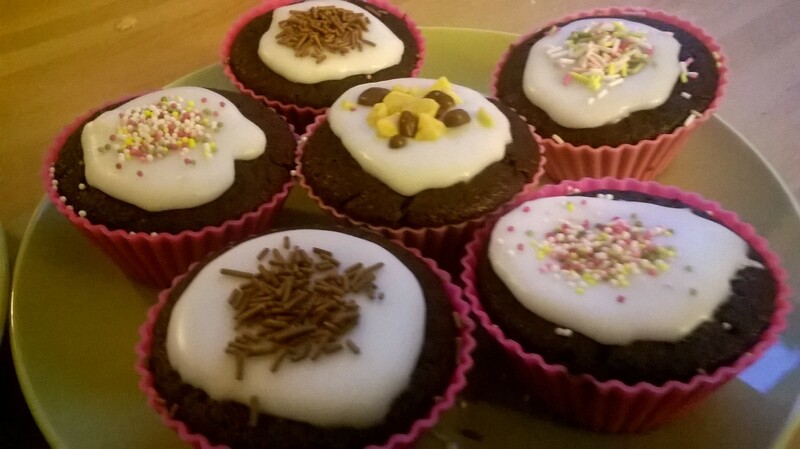 I went and bought a new mini cupcake tray, pizza and cake ingredients. 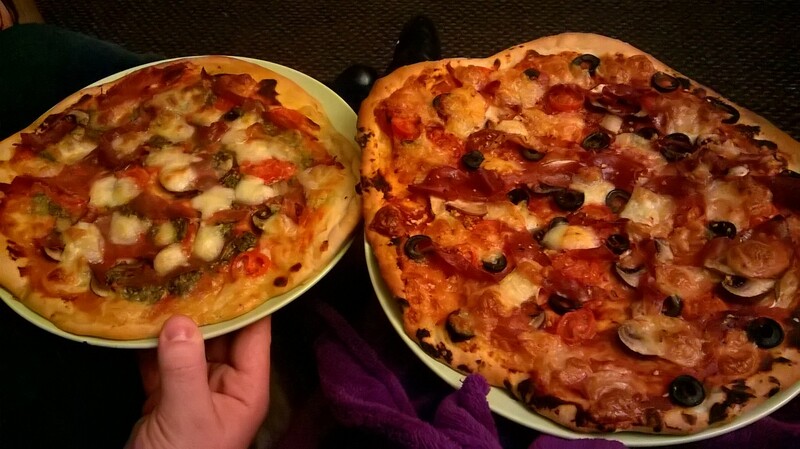 Yes, we did make pizzas. They were definitely worth the wait. 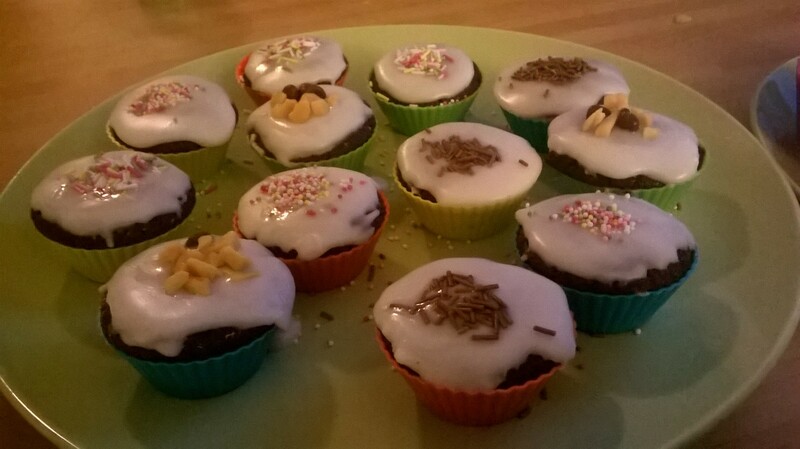 I also went ahead and made cupcakes. 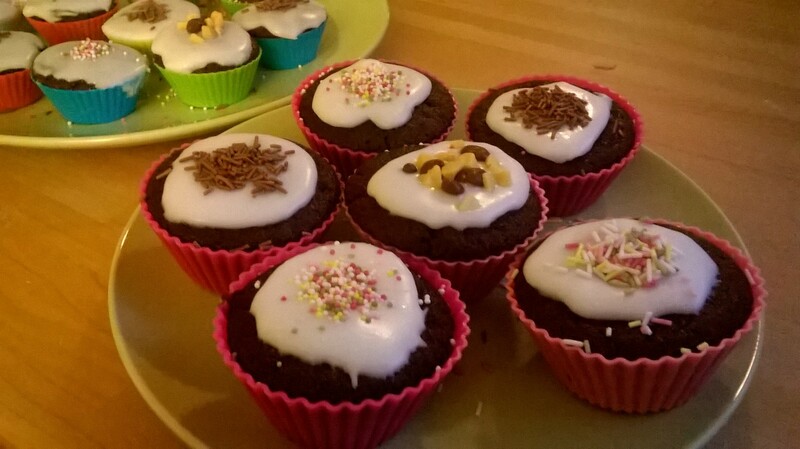 Expect a recipe post soon as they were pretty good considering baking is a weakness of mine. This whole weekend is turning into a cooking weekend, as tonight I’m attempting to make a lasagne with handmade pasta. Cooking is proving to be great therapy. I think brighter days are certainly on the horizon. Have a brilliant weekend, whatever you may be up to.